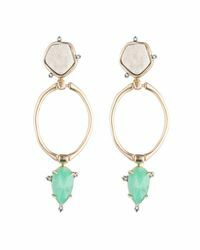 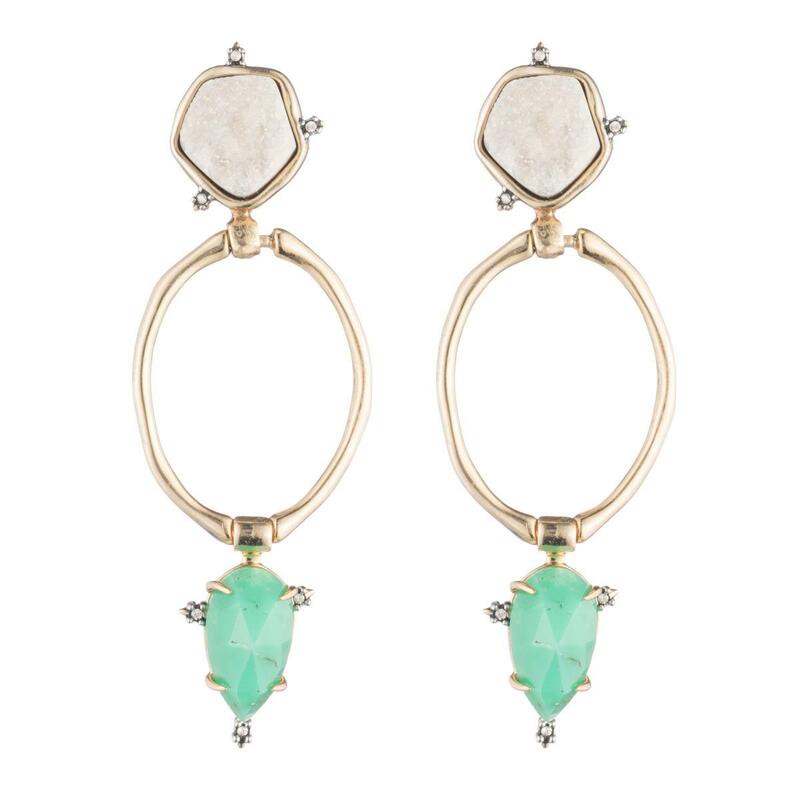 Tune in and drop out in these playful bohemian statement earrings. 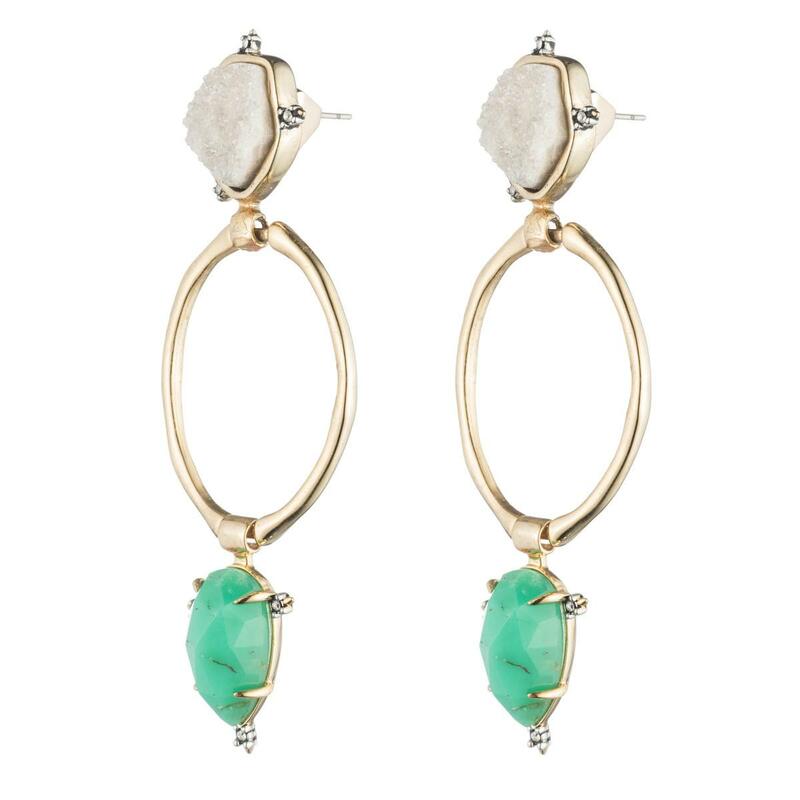 Multi-stone druzy adds an elegant flair. 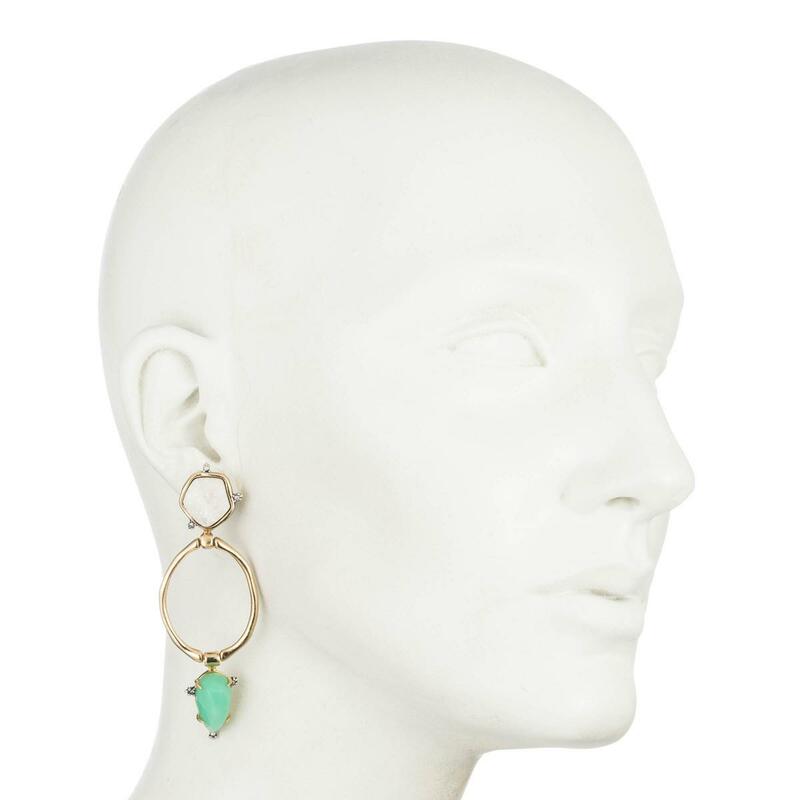 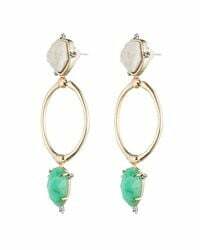 Druzy, chrysoprase, crystal accent and 10k gold tone plated brass. 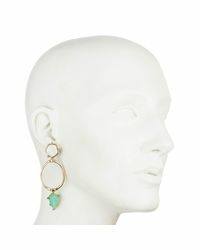 4.7" length.